Silver coin. Silver coin. 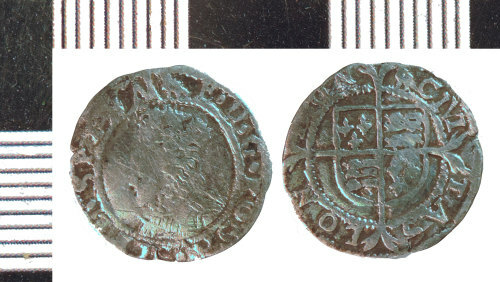 Penny of Elizabeth I (1558-1603), second coinage of 1560-1561. Obverse description: Bust left. Mintmark martlet (94). Reverse description: Shield of Arms of England and France, long cross.